As a professional translation agency dedicated to business translation services that has spent years building the trust of a diverse multicultural client base, we can put your company in the best position for international trading and expansion. 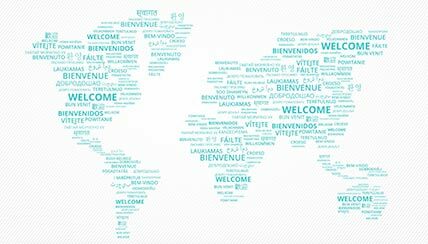 Going global can often seem like a daunting process at the beginning, but our experts in business translations can help you harness the momentum you have established in your home market and enable you to create the same buzz on the international stage. As an ISO certified translation company you can rest assured our language solutions are of the highest quality. Why Choose Our Accurate Business Language Services? As our hand-selected linguists will only ever translate into their native language, you can rest assured that the finished project will read fluently and naturally so that readers feel as if it were originally written in their own language. This guarantee makes it a whole lot easier for you to connect with the global community on their own terms, with industry-specific terminology and conventions effortlessly blended with your unique business message. Whatever you need us to translate, attention to detail and respect for the subtlety and specificity of your original text are guaranteed, be it a highly technical business document translation filled with gritty facts and figures, or wordier marketing copy for a multinational business. With every document we translate, your business translator will carefully proofread their work at the end of the project, before being proofread by a second translator, guaranteeing the highest quality standards. DO YOU OFFER TRANSLATION SERVICES FOR BUSINESS IN LONDON? Whether you need commercial translations into one key language or a set of high quality multilingual translations of your business materials, no job is too large or small, and with our network of over 2000 business translators we promise the best linguists for whichever language or dialect you require. From large global investors seeking translation services in the macroeconomic sphere, to import translations and marketing localisation for start-ups and local companies, international business is truly at your fingertips. Cross-border trading has never been easier than with our import and export translations, all carefully overseen by your dedicated Project Manager, who will take care of finding a tech-expert able to format your business translations exactly as you need them, saving you the time and effort of having to redesign any business documents we translate. As communication has always been at the heart of our high quality business translation service company, we make sure that your friendly Project Manager is there to answer any questions or queries that may arise during your project. Crucially, this comprehensive service still means great value for money, with our emphasis on speed and accuracy never compromised by our guaranteed competitive prices. We know that time means everything as you drive your idea towards globalisation, and that’s why we always give clients a quote for our corporate translations within an hour of you getting in touch with our Manchester translation agency, so you can get started with your cross-border business as soon as possible.